Every year my husband and brother-in-law spend hours, if not days, searching their favorite hunting grounds for the perfect location to hang their tree stands. Over the years, both of them, avid bow hunters, have acquired quite a few stands, which makes for a hefty investment. Unfortunately, even as careful as these lifetime hunters are, each of them has had tree stands stolen over the years. Here, we will go over tips to prevent tree stand theft. If you have tips to share, please make sure to add them to the comments below. Believe it or not, when a tree stand is stolen, it is often a fellow hunter. The only good thing about the fact that other hunters are usually the one that stole a tree stand is this act is usually a crime of opportunity, and easy to deter with just a few simple steps. As mentioned earlier, the hunters in my life are lifetime hunters and extremely active. For them finding the perfect location deep in the woods isn’t an issue, but each of them knows and has seen other bow hunters place their tree stands about a 100 feet into the woods. 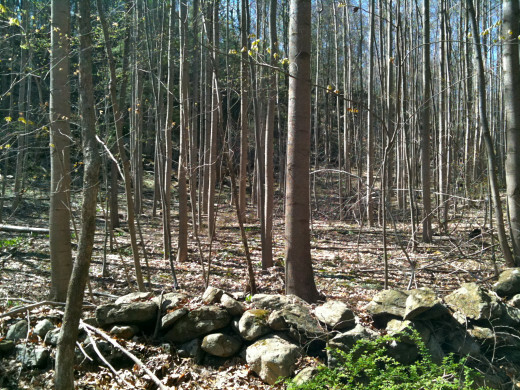 If your tree stand is plainly visible, chances are you are going to get it stolen. Whenever possible, it is always better to go into the woods as far as possible to find the perfect spot. Before you even venture into the woods with your new tree stand, make sure you mark it up. If you are carrying old, not uniquely identifiable, tree stands into the woods, make sure to mark these tree stands up as well. When you are choosing a way to identify your tree stand, you can add your initials, add a unique symbol, your driver’s license number, or something else unique. It’s also important to be able to remember what this symbol is in case it is ever stolen. When uniquely identifying your tree stand, you need to make sure that you put it in a spot where a thief isn’t likely to look. For instance, you could place your initials towards the back where the cushion sits, or even on the bottom of the tree stand under the cushion. Take a picture of your tree stand and your unique marks. Keep this photo handy; in case you ever have to report a tree stand stolen. Since we already established that tree stand theft is a crime of opportunity, it’s time to talk about how to deter thieves. 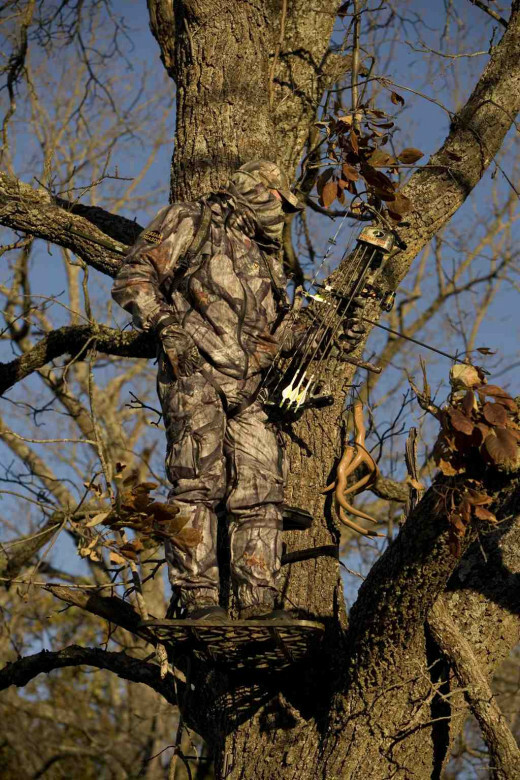 The thought is, if a tree stand doesn’t look like it would be easy to steal, it probably won’t be. Take the bottom two climbing pins with you when you leave your tree stand for the day. Yes, there is a chance that someone walking through the woods has a couple climbing pins with them. But if they don’t, they aren’t going to try to climb the tree, like a bear, just to steal your tree stand. Have you ever had a tree stand stolen? This three pack of tree stand cable locks is a great way to prevent your tree stands from getting stolen. Use them all or split the package with your buddy to ensure your tree stands stay exactly where you put them. It’s important to lock up your tree stand. If you are an avid hunter, you probably think this is a DUH kind of revelation. However, you wouldn’t believe how many people don’t lock up their tree stand. 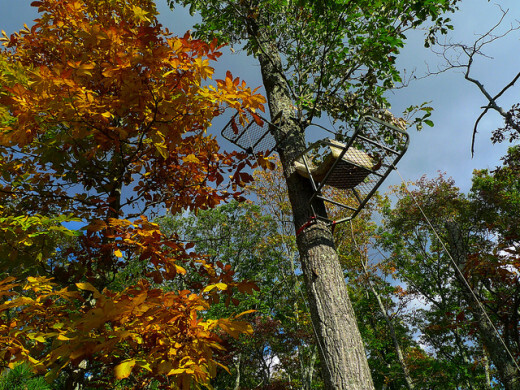 When it comes to locking up your tree stand, you have a couple options. First, you can purchase a tree stand lock from a hunting company manufacturer, or you can use a thick log chain to secure your tree stand in a tree. The tree stand locks from hunting companies are fantastic for holding your tree stand in a tree, but aren’t great for deterring theft. This is true because a traditional tree stand lock is usually black in color and thin by design. The black color of the chain doesn’t allow it to be seen from the ground, so it won’t deter a thief from climbing the tree to investigate and the thin design of these types of locks is easy to get through. A thick log chain, on the other hand, is a much better choice for deterring thefts and keeping your tree stand in the tree. A large log chain is heavy, which makes it hard to get through and can easily be seen from the ground. When a would-be tree stand thief sees your stand in a tree, but then notices the thick log chain, they probably won’t even bother climbing your tree. If you are like my husband and brother-in-law, you are probably worried about being as stealthy as possible in the woods and worry that a heavy log chain may be too loud and give away your location. If you are worried about this, you can always coat the heavy log chain with rubber coating. 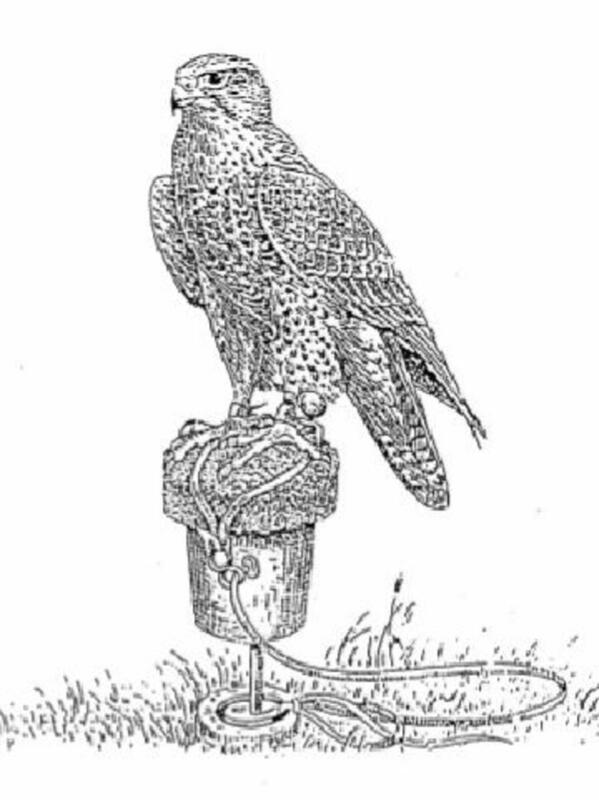 It won’t affect the integrity of the chain and will prevent it from clanging when a trophy bucks in your site. The Truth Cam Blackout Game Trail Camera from Primos is created to be undetectable to animals and humans. For this reason, it is great for catching big bucks and tree stand thiefs on camera. Another great way to protect your investment is to place a trail camera in the vicinity of your tree stand. In addition to catching any potential thief on camera, you will also be able to capture any big bucks roaming around your honey spot where you aren’t around. Installing a trail camera near your tree stand doesn’t come without risk since trail cameras are also prone to crimes of opportunity. However, many cameras on the market today are offered with a blackout flash. This type of flash won’t give away the cameras location and allows you to capture everything going on in your hunting area while you aren’t there. Even if you use a trail camera with blackout flash, you will want to make sure you camouflage the trail camera to protect it from theft. 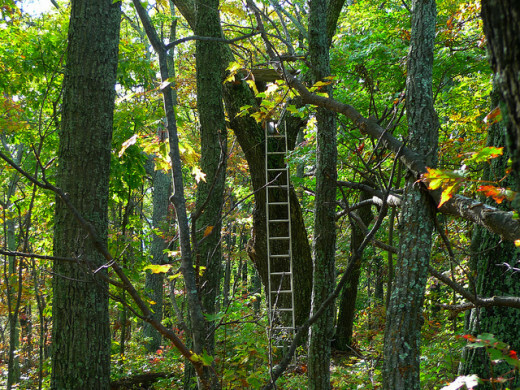 Unfortunately, many hunters don’t report a stolen tree stand. While the reasons for not reporting a stolen tree stand vary, many hunters don’t report their hunting gear stolen because they don’t think there is anything that can be done about it! This simply isn’t true! When you report your tree stand stolen, you will want to tell the police exactly what type of tree stand was stolen, where the tree stand was when it was stolen, and any identifying marks you may have added to the stand. If you have a trail camera in the vicinity, you may have caught the thief in action, if so, give these images to the police as well. In addition to the information above, you can also tell police if you have any suspects, such as a neighbor. While the police may not have any leads right away, they may get lucky down the road with pawn shop and reseller reports. Have Your Own Tree Stand Theft Prevention Tips? I had no idea people stole tree stands, but I guess there are all kinds of thieves who think nothing of ruining other's hard work.